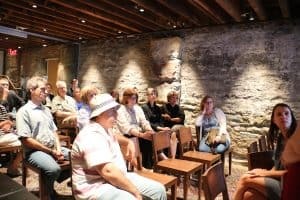 Join PEN America representatives Julie Trébault and Rebecca Stump in Pittsburgh to discuss new initiatives by PEN America, including the Artists at Risk Connection, new regional programming, and more! City Of Asylum President, R. Henry Reese, will be on hand to explore upcoming partnerships and initiatives between City of Asylum and PEN America. 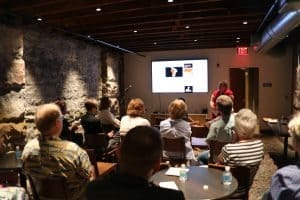 Non-members who are curious about the benefits of PEN America membership and current members are invited to a Town Hall meeting. This is your opportunity to guide an open discussion of all facets of PEN and what sorts of programming you’d most like to see locally. We will discuss the upcoming regional programming expansion, local press freedom opportunities and the ARC program. A reception will follow this discussion, which will hopefully give attendees the chance to chat with representatives one-on-one. 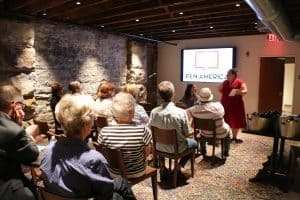 Please feel free to bring someone who you think could benefit from being a member of PEN America.